At Advanced Dental Treatment Center, we pride ourselves on offering up-to-date dental care that uses all of the latest dentistry techniques and technological advancements. 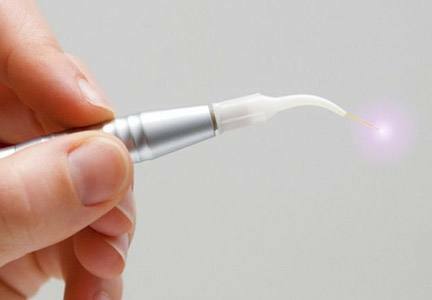 One of the innovative technologies we incorporate into our office is laser dentistry. We utilize lasers in a variety of treatments to improve the comfort and efficiency of dental care for patients of all ages. If you’re interested in learning more, call Advanced Dental Treatment Center today to get answers to all of your dental care questions or reserve your next appointment in our Greenfield dental office. We are conveniently located on Beloit Road right off Highway 100. Why Choose Us for Laser Dentistry? 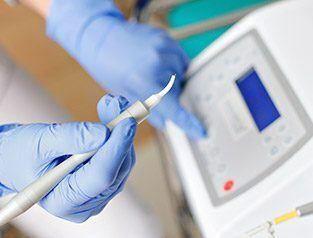 At Advanced Dental Treatment Center, our team uses laser dentistry to make your dental care options more precise, more comfortable, and less invasive. 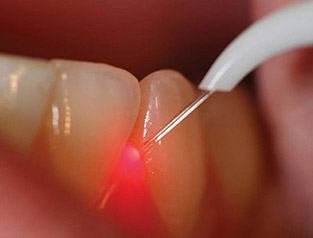 One of the most common uses for laser technology is in treating periodontal (gum) disease. Laser therapy for gum disease allows us to clear plaque and tartar buildup and removed damaged soft tissue while cauterizing the treatment site at the same time. This makes the experience more comfortable. Patients will have minimal bleeding and inflammation during or after laser gum disease treatments. Additionally, no stitches are required after treatment, and the recovery period is shorter than with a more invasive scalpel and suture treatment methods. Laser dentistry is completely safe for kids and adults. 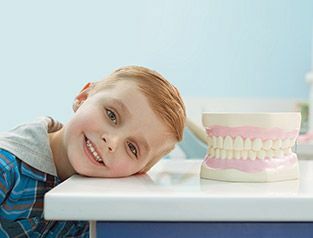 In fact, this modern style of dentistry is often recommended for young children because they improve comfort during and after procedures, especially those that impact the soft tissue. Infants and children with lip and tongue tie are frequently treated using dental lasers to remove the excess soft tissue quickly and comfortably. 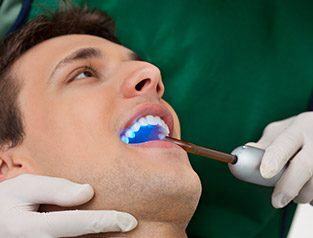 In addition to soft tissue treatments, we use a dental laser to detect cavities. This allows us to diagnose decay as it is first developing. By catching tooth decay in its earliest stages of development, our team can provide more proactive and minimally invasive treatment options, and in many cases, we can stop your cavity from ever forming. In addition to detecting cavities, we also use a hard tissue dental laser to remove decay. This treatment method lets us provide care without the need for anesthesia or a drill. This is great for kids and adults who don’t like needles or the noise of the dental drill. The laser works by vaporizing the decayed tooth structure. Then, we use composite resin to refill the damaged area, restoring oral health and wellbeing quickly and comfortably.